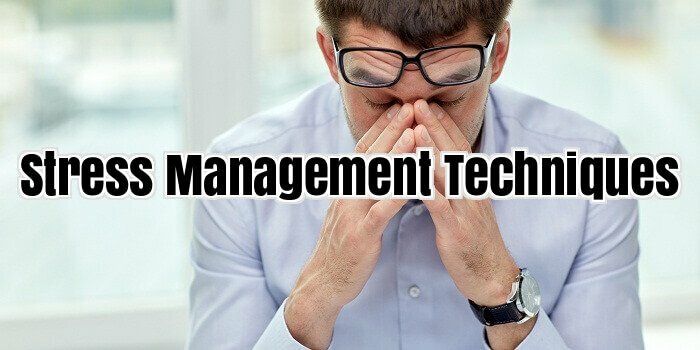 Stress management is made up of very many aspects. To manage stress, you must have a clear understanding of what stress is and how it can affect our daily lives. Therefore, the first place to begin is with the definition of stress. Many models or views of stress have been brought forth over the years and some have been accepted and welcomed by society. The most popular definition of stress is by an early stress researcher called Richard Lazarus who suggested that stress was as a result of exhaustion of personal resources due to the great external or internal demands. Many people can relate to this because stress is often a feeling of being overwhelmed by the challenges in us and around us. Other suggestions state that stress can be good for us because it pushes us to our limits producing extra ordinary results. The next thing that is helpful to study in stress management, is what exactly stress does to our bodies. Therefore, knowing the various symptoms that come as a result of stress will enable you recognize the problem. Stress will affect our feelings or emotions, thoughts or intellect and our behaviour in many ways. When we come down with stress, we will have several feelings which include anxiety, fear, irritability and being moody. We then become captive of various negative thoughts which are inability to concentrate, low self esteem, forgetfulness, too much worry about the future and many others. We then notice some behaviour changes which might consist of stuttering and speech difficulties, crying for no reason, laughing in high exaggerated tone, grinding teeth, increased smoking and other addictive habits, losing appetite or eating too much. The above changes in behaviour clearly show that stress symptoms are very many and that people react very differently to stress in their lives. There are very many causes of stress and they are often referred to as stressors which could be environmental and, they can also be internal. Major life changes are potential stressors and they include death, divorce, marriage, pregnancy, transfer to new school, loss of a job, starting a new job and others. Other causes of stress are financial problems, competition, noise, time pressure, disappointments and others. There are practical things that you can do to reduce stress in your life and they include keeping a positive attitude in everything you do, avoiding unnecessary competition, be an assertive person and this will enable you command more and reduce stress and its harmful effects in your life. Recognize and accept your limits. This will go a long way to ensure that you realize how unique and special you are. You will also learn that you do not need anyone’s validation because you are special with your good qualities and flaws. This realization will make you a happier and a more positive person and you can appreciate life even more. Above all these, eating a healthy diet and avoiding drugs and alcohol will make your life wholesome. Do not forget to undertake some physical exercises. In today’s fast paced lifestyle it is almost impossible to avoid stress whether we are at home or work. We must take any measures possible to help us manage such hectic lifestyles. Thankfully there are steps that we can take that will dramatically reduce the levels of stress that invade our everyday lives. Learning how to truly relax will help you in your efforts to enjoy a stress free life. One of the most effective methods that you may use to bring a sense of ease to your life is music therapy. Listening to music has an amazing effect on how you feel inside and out. Music therapy has been growing in popularity for the past years. We started our lives being carried in our Mothers womb for the first nine months of our existence. Many experts believe that the rhythmic beat of our Mothers heart became so soothing to us that we created a deep seated need for some type of replication of that continual rhythmic pattern. There are many different types of music that can be successfully used for creating a soothing, extremely relaxed atmosphere. Two of the most popular and widely used types of music are the natural sounds of nature such as a babbling brook, ocean waves or the sound of the trees rustling in the wind. Then, there is what is called New Age music which is a beautiful array of calming sounds capes. With the New Age music there are no melodies to grow tired of, no changing styles, beats or rhythms, just consistently soothing sounds with tranquil, slowly changing symphonic harmonies. There has been much research done in the field of music therapy and it supports its effectiveness in a wide variety of areas including your overall mental health care. One of the strongest benefits of music therapy lies in its ability to promote relaxation. The overwhelming amount of stress we all face in our lives these days leads to some very damaging effects on our health such as high blood pressure and increased tension which in turn will cause vast array ailments. This is why it is extremely important for all of us to search out methods that will help us in controlling the amount stress we are faced with on a daily basis. Music therapy is so beneficial because it does not have to disrupt your day in any way; you can just simply have it playing in the background whether you are at work, home or in the car. The benefits that you will receive just occur naturally, there is no effort on your part Music has a way of calming the mind, body and soul. Many hypnotherapists use the soothing benefits of music to help guide their clients mind into a deep state of relaxation. Once you begin to use music to help ease the tensions of the day it will not be long before you are hooked and you find yourself looking for every opportunity to just relax to the wonderful sounds of nature. The use of music therapy has been shown to bring the listener into a more positive state of mind which has a wonderful effect on how that person views the world around them. The calming benefits of the softer music will induce a sense of relaxation reducing the feelings of negativity which helps fight depression. The damaging effects of stress are more evident in our high pressured society and you really need to take measures to eliminate the problems that can and will arise with your health and social interactions. Turning to music therapy to help you with the overload of truly chronic stress that is taking over our lives is one of the most positive steps that you can take to bring some relaxation back into your life. Stress and anxiety more and more are playing a massive role in our life these days. Sitting in traffic every morning, going to work in an uncomfortable office, not making enough money, relationship difficulty can all trigger a reaction to stress. More people today are turning to covert hypnosis anxiety techniques to get the most out of their lives by becoming less anxious, less stressed and more open to life and its possibilities. Covert Hypnosis, also known as conversational hypnosis or neuro-linguistic programming has become a buzz word amongst psychologists, motivational speakers, within the wellness industry and all over the world in homes and offices. Covert hypnosis is basically having a conversation with a person’s sub-conscious, using language patterns and body language to alert the sub-conscious to an underlying message or key phrase whilst the person is fully awake as well as unaware. The language used in covert hypnosis anxiety techniques has an underlying message that assists a person to relax. When in a hypnotic state via covert hypnosis anxiety techniques, we are almost in a dreamlike state where we are more in touch with our sub-conscious, which is the gateway to our feelings. What better position to be in to manipulate our emotive state into a more positive, less anxious and stress free condition. By using these covert hypnosis anxiety techniques, you can completely overcome anxiety and stress related issues. You can visit someone who knows how to practice conversational hypnosis, or you can do this either by administering it yourself, with the help of an audio CD or cassette. If you are intending to do it yourself, audio Cd’s are a brilliant way to carry this out, as you can do it in the comfort of your own home and in your own time. When it comes to stress and anxiety, one thing can be confirmed: that we are responsible for a large portion of the way that we feel because of the way that we think. Often life can become stressful, but we make it worse by worrying and concerning ourselves with negative outcomes instead of focusing on the positive. Covert hypnosis anxiety techniques are a brilliant source of help in this case as they can completely change the manner in which we think. By diverting your focus from the stress trigger and the symptomatic response to this, we can ultimately free ourselves from the stress and find a solution for it. Conversational hypnosis has helped thousands of people with this common dilemma. It is estimated that between 75% and 90% of all visits to hypnotists and conversational hypnosis specialists are for the treatment of stress and anxiety. In this day and age there has never been a more desperate need for covert hypnosis anxiety techniques to assist people in living normal, happy lives. Having the correct approach to life makes it much more manageable and enjoyable. A small piece of dark chocolate each day can actually provide you with many health benefits. Chocolate has a stimulating effect. The caffeine also helps to increase serotonin. It’s okay to indulge in chocolate in small amounts! Many experts believe that a glass of red wine each day provides health benefits. The only drawback is that it’s easy to overdo it when drinking alcoholic beverages. Wine is packed with beneficial antioxidants and can temporarily lower blood pressure and help you relax. Lean meats can help you combat stress by providing a good source of protein. Turkey, eggs, chicken and fish are all good choices because they contain necessary amino acids for healthy brain function. Remember not to eat fatty meats because the fat can interfere with proper digestion of the amino acids. Yes, caffeine is a stimulant and there is also a risk of developing an unhealthy habit. However, moderation is the key. Coffee can help stimulate the brain into working with more energy and efficiency, helping you feels more motivated and less stressed. Stress is becoming more and more commonplace with many adults and even adolescents experiencing bouts of stress frequently. Whilst stress is unavoidable there are positive ways to deal with stress that can not only help you manage your stress better but will improve your overall quality life in the process. Although this was covered in detail in our recent post on stress I want to briefly touch upon three simple lifestyle changes that can go a long way in combating stress. Firstly proper R & R, secondly diet and nutrition and thirdly, exercise and fitness. These are three key lifestyle changes you should consider for dealing with stress. A short relaxing stroll can benefit you both physically and mentally. Walking will help to oxygenate your circulatory system and the brain improving mental performance and leaving you feeling rejuvenated. It’s the perfect way to release any built up tension in your body and can really help to clear your mind of any baggage. Listening to music is one of the simplest and more positive ways to deal with stress. Whenever you’re feeling stressed and struggling to unwind try listening to some soft music. The style of music is less important as everyone is different so just go with what suits you and whatever style of music helps you to relax. Sometimes, we can cause ourselves unnecessary stress through being disorganized whether it be at home or perhaps in the workplace. Determine the areas of your life that are causing you stress and look at ways in which you can improve upon them. Systematize and prioritize your daily activities for better efficiency. If you find yourself constantly counting the minutes in the day running from A – B then this will invariably cause unnecessary stress. You can start managing your time better by using a spreadsheet to detail your day-to-day activities and allocate time slots for each task, this works well for both a work schedule and your personal life. Sometimes, we can get so caught up in work and family commitments that we neglect the most important person which is ourselves! Take the time to determine the activities you enjoy and make it a habit to actively engage in these activities where possible. Activities that help you to relax and remove yourself from a stressful mindset are perfect. Volunteering has to be one of the more positive ways to deal with stress. Knowing your efforts are making a difference can really go a long way in helping you take your mind away from your daily worries and stresses and will leave you feeling positive. Meditation and Yoga are two positive ways to deal with stress that can really help in finding the right balance and harmony for the mind, body and spirit. Meditating is particularly useful for clearing the mind of any mental baggage; Yoga is useful for relieving any built up tension in the body in a productive and fun manner. Green tea is a natural herb that is becoming increasingly popular in the natural health market. A few of the many benefits of green tea are; packed full of antioxidants, boosts metabolism, improves circulatory system, protects against heart disease. As you can see green tea is a great natural herb and a natural stress reliever. There are also a variety of other natural stress busting herbs available you may want to consider. As you can see there are lots of healthy and positive ways to deal with stress. Most importantly is adopting a few simple lifestyle changes, this will help you cope with stress better long-term. It’s likewise important to organize areas of your life that are causing you stress, break them down and look at how you can better manage them. Remember as well to focus on YOU! Whilst work, family and other commitments may take a large chunk out of your day you should still find time for yourself, even if only for half hour where you could perhaps quietly reflect and regain composure. It can feel like you are responsible for the entire world is our responsibility sometimes. This can lead to an unbearable emotional toll on you to the point that you cannot take it anymore. If you don’t take preventative measures to protect your health, you are more likely to be worried or stressed about it, but wondering and worry about your health can lead to stress. Say this mantra to yourself over and over to silence the part of you that is critical of yourself, and it can help to quiet the self-critical voices in your head. Whenever stress starts to overtake you, take a deep breath of the scent. For instance, if one of your friends is always creating unneeded stress in your life, you should probably end the friendship. If you are able to listen to work while you are at work, play your favourite music at work to relieve some of your stress. Be sure to choose from a selection of music as this will help to soothe you. If you play music with a strong beat, be sure the tempo and lyrics are positive. You can document each amusing occurrence or jolly anecdote you encounter. Be wary of any areas on your body parts that tense up whenever you feel stressed. Often people clench their lower back muscles, lower back muscles, teeth or fingers. When you figure out where your tense muscles begin to show, consciously stretch these spots often when you are under stress. This will alleviate your tension and you will be more ready to relax afterwards. Music can be an effective part of a great stress reduction program. It is commonly known phenomenon that music therapy will reduce stress as long as the music is soothing to you. Music can help you breathe more deeply and induces the brain. Music is a great way to relax yourself when you feel stressed out. When you are stressed, play your favourite song, relax, and put your focus on the sounds you hear. This lets your mind wander away from any feelings or events that has caused you to feel stressed. Learn how to say no when you are overwhelmed by stress and get stressed out. You might have the desire to make others happy, but taking on too many responsibilities is a sure fire path to stress. Smiling is an easy and simple way to reduce the amount of stress you feel. Smiling is a reaction to being happy and at ease, but just doing it can make us feel that way. So, put a smile on your face and see if that doesn’t make you feel after. You are sure to feel calmer when you can smile through the complicated times we all have. Self-hypnosis is a good option for individuals who find they are irritated in a niggling manner by the same little irritations. When you visit your beauty shop the next time, buy lotions or shampoos that smell really good to you. If you enjoy the way you smell throughout the day, you will automatically feel better about yourself, and that will help you calm your stress. One way to alleviate everyday stress level is by making plans ahead of time. Try to relax by closing your eyes close while you listen to soothing music. Soft music can speak to your stress from a number of angles. As you listen to it with your eyes shut, your mind naturally drifts away to environments that are pleasant. This is a highly effective way to deal with stress management technique. Few things in life can lead to chronic stress as readily as parenting. But it need not be so. While raising children definitely requires more patience than any other activity, over a wider range of circumstances and for longer periods of time, it need not be a source of chronic stress. Stress is a mental and physical condition that occurs when there is an irresolvable conflict between “I can’t” and “I must”. Neither of these two components is inevitable in parenting. There are many circumstances in which a parent will want very much to achieve a particular outcome. That’s the “I must” part. And, there are certainly many situations in which you throw up your hands and say “I can’t”. But very few goals are so fundamental and so long-term that they should be regarded as overwhelmingly important. If they’re not overwhelmingly important, it isn’t necessary to be overwhelmed when striving for them. Neither do the two components have to occur together. Sometimes, in fact, it will be true that you can’t achieve a particular goal. Realism is essential in parenting, just as it is in every other aspect of life. It’s also true that there are truly very few ‘musts’ in parenting. A great many goals are desirable, even worthy. Some are even noble. But very few are mandatory. Educating children, for example, is difficult and hugely important. But no single school, at any age, is essential to a successful life. There are always options. Sometimes those require making difficult and unpleasant choices. It may require relocating, looking for alternative schools or even homeschooling. But those choices need not lead to stress. Taking choices seriously doesn’t have to lead to chronic worry, insomnia, feelings of helplessness or continual irritability – all common signs of stress. It’s possible to regard a goal as important without concluding that one doesn’t have the resources needed to achieve it. Even when you don’t, you can often acquire or develop them. Using education as an example again, many parents worry over how to pay for a good college for their son or daughter. But there are more ways to finance that now than there are methods for financing a house. Though, admittedly, the two are becoming about equal in cost! Few parenting dilemmas are as potentially stress-inducing as a child who simply will not listen, particularly when their behaviour is unruly or even violent. Here, too, there are rarely any quick fixes. But, as with any thorny problem, an attitude of confidence in one’s ability to find answers, and a view to the long-term, will go a long way toward minimizing stress. Stress need only come into the equation when you come to believe that there is simply ‘no way’ to solve a problem you ‘must’ solve. Tossing away both those false alternatives leaves you still with a problem, but not that which only adds to the burden – stress. Stress can be such a dirty word. Are you fed up with the level of stress in your life? Maybe you aren’t aware of all the options you have to help reduce your stress. These suggestions can help you lower stress and have more calm and peace in your life. Get ready to eliminate stress from your life! Do the best you can to control your stress levels. High stress can lead to several health problems, such as stroke, hypertension, heart attacks, ulcers, insomnia, depression and muscle aches. Getting a full night’s sleep helps to cut down on stress and can help to stay as healthy as possible. When people are stressed they sometimes turn to drugs like alcohol to calm them down. This is how they try to seek relief from the overwhelming anxiety and emotions that weigh them down on a daily basis. However, chemical substances, which do encompass alcohol, are rarely effective in reducing stress. Drugs and alcohol will instead make your life even harder and add to the stress you are already dealing with. Think about what you currently do to manage stress, and determine if there is a better way to go about it. Think about logging your stress and what causes it over a few weeks. Watch how you respond to the stressful situations and see if your response was productive and healthy. If your reactions were negative, come up with different strategies to cope with everyday stress. Try to replace the unhealthy habits in your life with more positive and productive ones. For instance, if you typically overeat when you feel stressed out, try exercising instead. By swapping negative methods of handling stress with healthier, more positive ones you will maintain the strength to enable you to deal with stress in your daily activities. A good heart-to-heart talk with a trusted confidant is often a good stress-buster. Expressing your anxieties and emotions can help you feel much better. Spend time with the supportive people around you, and allow them to help you manage your stress. Take deep breathes in order to control any situation that might make you stressed. You could even physically remove yourself from the situation, count to ten, practice some deep breathing, and then return to the fray. This simple task can be the difference between being professional, proactive and calm in the moment, versus reactionary, defensive and stressed. An effective de-stresses is doing a special thing for another person. If you have significant other buys them flowers, or makes a special dessert for your son or daughter. This will divert your attention away from your own stressful experience and the act of brightening someone’s day will work magic on both of you! While some problems cannot be avoided, there are many stresses in your life you can avoid by making a few simple changes. Give these tips a chance, to see if you can transform to a more relaxed person.